After missing the last two games against the Oklahoma City Thunder, the Raptor point guard will make his return from an ankle injury Sunday night against the Charlotte Hornets according to TSN's Josh Lewenberg. Lowry was originally listed as questionable for the matchup. Catch the game LIVE on TSN4, 4K and streaming on TSN.ca, the TSN App and TSN Direct at 6pm et/3pm pt. 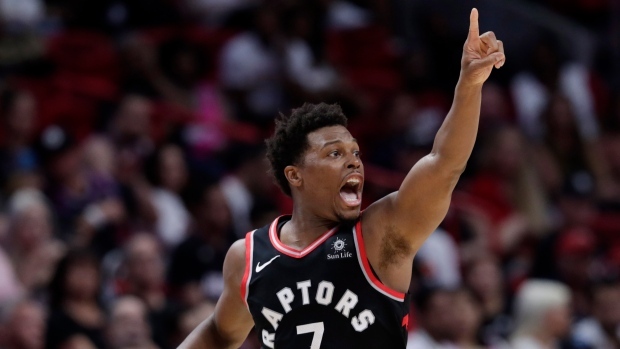 Lowry was injured during the third quarter of Monday's matchup with the New York Knicks when he and centre Mitchell Robinson were tangled up going for a loose ball. The Raptors went on to win the game by 36 points. The five-time all-star is averaging 14.8 points, 9.1 assists and 4.8 rebounds per game this year. Following their matchup with Charlotte, Toronto will be back in action Tuesday night when they host the Chicago Bulls.